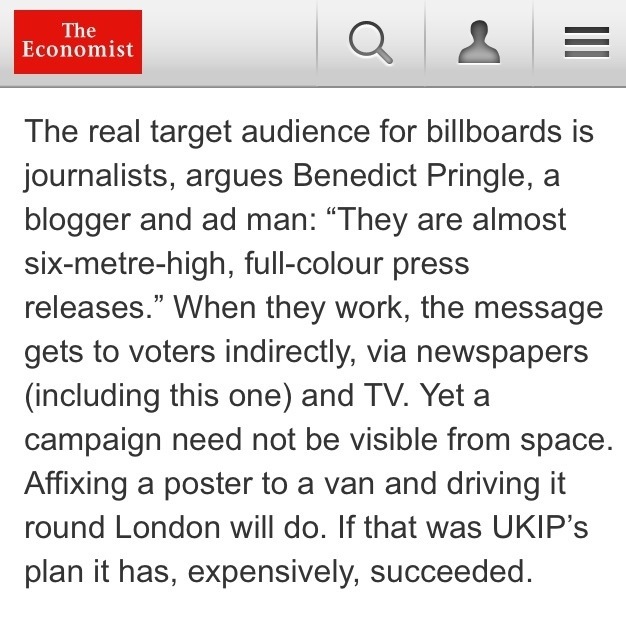 The Economist newspaper published today has an article on political advertising that is worth a read. And in case you don’t make it all the way through, I’ve kindly pulled out the key quotation above. But what about the massive campaigns in marginal constituencies? Surely the target is not journalists then? Yep, agree. Unfortunately (and fairly) the journalist only quoted a part of the interview.